Looking for a stylish and chic addition to your home? 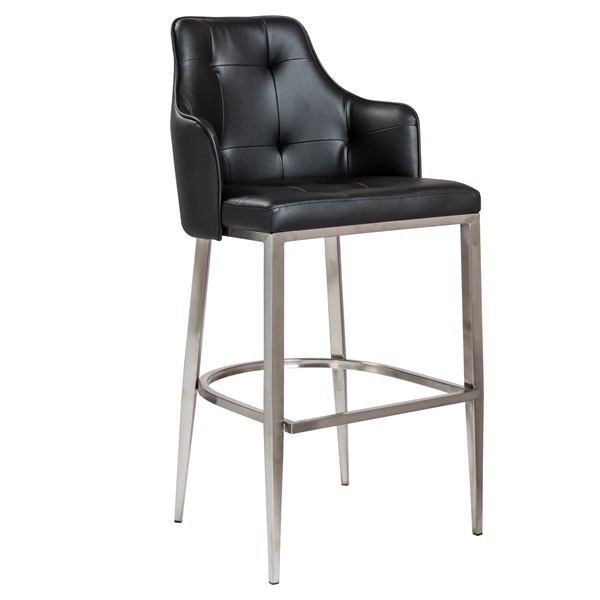 The Aaron-B Bar Stool from Euro Style is a great addition to your home décor. It has a very padded seat and back, so it’s great for anytime. Just imagine having your friends over for drinks or for watching the game. This leatherette seat and back feels luxurious and covers soft foam. The footrest and legs are made from brushed stainless steel to provide a sturdy base. Along with working well in the home, it’s also a great option for the office. It comes completely assembled and will fit in any space.